The academic community has invested deeply in the preservation, use, and digitization of materials in special collections, and Archive Journal provides the space to reflect on this investment. The objects and texts in special collections and archives are the focus of this journal, just as they are the focus of the many projects from and in archives that have been executed and continue with great success. Digitization efforts large and small have freed archives from the bounds of brick and mortar by bringing a wealth of texts and objects into virtual circulation. Teachers and librarians have increasingly emphasized work with original materials for students at all levels as a way to enrich student experience and position students as researchers. The use of materials in special collections as the objects of scholarly study continues to be a key methodology of humanities disciplines even as new technologies, from data mining to visualizations, open up possibilities for what scholars learn from these objects. Recent archival projects have involved multiple institutions (universities and colleges, independent libraries and archives, and non-profit organizations) and multiple constituencies (including librarians, archivists, undergraduate and graduate students, faculty, university press directors, and information technologists). In this moment when archival projects, both virtual and real, have become the norm rather than the exception, Archive Journal offers a way to forge connections among the projects and the communities producing them. “Roundtable” features an asynchronous “discussion” among contributors from various backgrounds who respond to the same set of questions about a single archive or archival topic. “Essays” invites analytical and creative pieces that reflect on meaning-making in and through archives. The format is open to both traditional research or theoretical essays, as well as multi-modal, alternate, or experimental formats. Contributions that analyze, use, theorize, create, find ways through, or reconstitute particular archives, objects or exhibits are invited. Only original work that has not been published elsewhere will be accepted for publication. “Notes” shares timely, short essays about best practices, archival finds, reports from the field, and thoughts on current work in the field. Please review our submit page. Every submission is read by the Editorial Team to determine suitability for publication. The Editorial Team declines materials that are not appropriate at this stage. For “Roundtable” and “Notes” materials that pass this initial stage, the Editorial Team gives detailed feedback and the opportunity to resubmit for materials that need substantial revision; and gives feedback and facilitates the process towards publication for submissions that need minor or no revisions. Because Archive Journal is an interdisciplinary space to forge connections among diverse projects and practitioners, this stage may include a series of back and forth feedback from the Editorial Team in order to ensure scholarly rigor and communicability across scholarly fields. Revised submissions are reviewed after revision for final approval by the Editorial Team before publication. Archive Journal reserves the right to reject revised materials that are deemed not suitable for publication. Following peer review and before publication, all accepted materials are copyedited for style and consistency. All submissions will be subject to open review via reader comments. Author(s) are welcome to revise the posted content in response to comments, with acknowledgment of the change. Authors published in Archive Journal retain copyright of their work. All materials in Archive Journal are published under a Creative Commons license; authors may select the one under which their work appears. In order to facilitate access and preservation, Archive Journal retains a perpetual, non-exclusive right to publish accepted work and to include it in other aggregations and indexes. Authors are free to deposit a pre-publication version in an institutional repository, individual webpage, or similar site, as well as to reprint, reuse, or republish their work in any venue after one year. The Archive Journal site is made available under the terms of a Creative Commons Attribution-Noncommercial-Share Alike 3.0 United States License. The license grants permission for non-commercial, attributed re-use of content that is produced by Archive Journal. Archive Journal has made every effort to ensure that third-party materials used in this journal and on this site follows all copyright and other restrictions. If you have any more information about an item you’ve seen on our website or if you are the copyright owner and believe our website has not properly attributed your work to you or has used it without permission, we want to hear from you. Please email us at contact@archivejournal.net with your contact information and a link to the relevant content. Archive Journal is supported in part by funds from the Council on Library and Information Resources (CLIR). 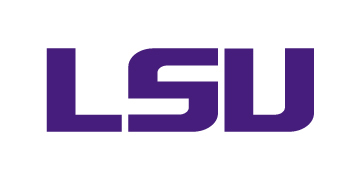 Additional funds have been provided by Louisiana State University (LSU). Archive Journal was founded with generous support from the Andrew W. Mellon Foundation.